As you welcome and celebrate your new arrival, the last thing you want is a jealous big brother or big sister. BONUS: be sure to read to the end for the one tip that makes all of the above work even better! Take your big-sibling-to-be to midwife or doctor appointments so your child can listen to new baby’s heartbeat. Your toddler can help pick out bedding, carseat, high chair, baby clothes, and other gear; or can help you organize the nursery. Older children can sort the baby clothes by size for you. The more your child is able to help with the new baby, the more pride and protectiveness she or he will have over new baby sibling. Also involve your child by talking about expectations when new baby arrives and read the best new baby books with your toddler or older sibling. Once baby is here, giving your child a job to do to help take care of baby is another way of giving your little one a personal interest in the new baby. This helps your child to start to think of the baby as MY brother or sister! 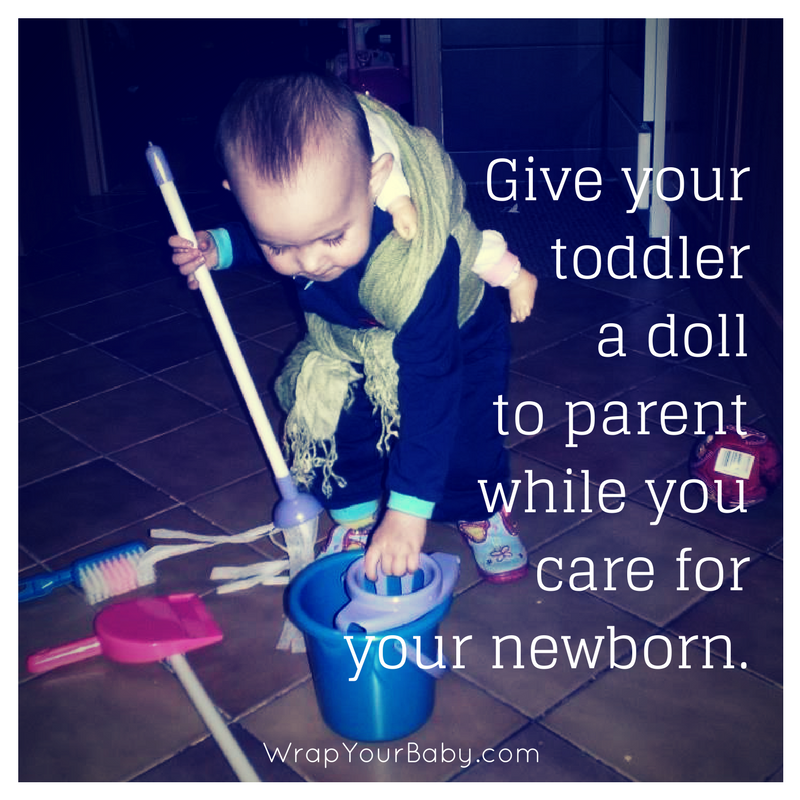 Bring a toy to distract baby during a diaper change. Whenever baby drops a toy, give it back. Pick out baby’s outfit for the next day. Put away diapers (after washing, or when purchased). You may be tempted to keep your newborn away from your toddler. But this leads to jealousy. 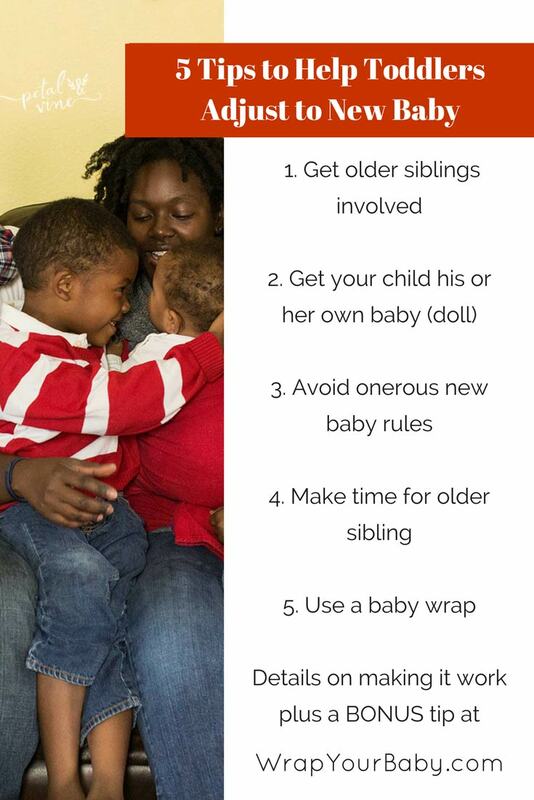 Make lots of opportunities for toddler to touch, kiss, or hug his baby sister or brother. You can have a toddler sit all the way back on a couch or armchair and put baby in toddler’s arms, while you stay very close. Your toddler or older child will be so proud and happy! It is important to accept and appreciate your older child’s help, however rough it may be. 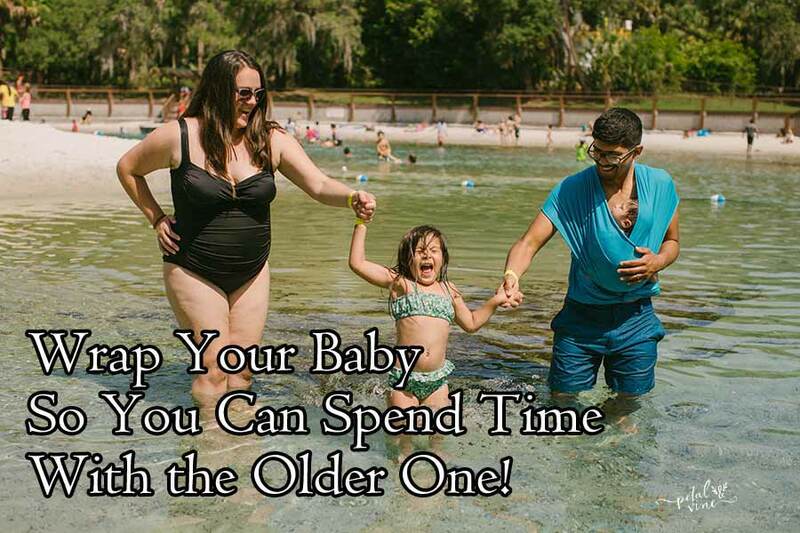 But when things get real you are going to have plenty of times when you need a toddler out of the way and letting you do what you need to do with the new baby. That’s where getting your little one a baby doll can help so much! Here’s the important part. Ready? Tell your child that this is his or her baby, so when you need to feed your new baby, they can pretend to feed their baby. When you change a diaper, they can change their baby’s diaper right next to you. When you put baby down for a nap, they can rock their baby to sleep as well. This will occupy your little one so that you get a chance to parent your baby. 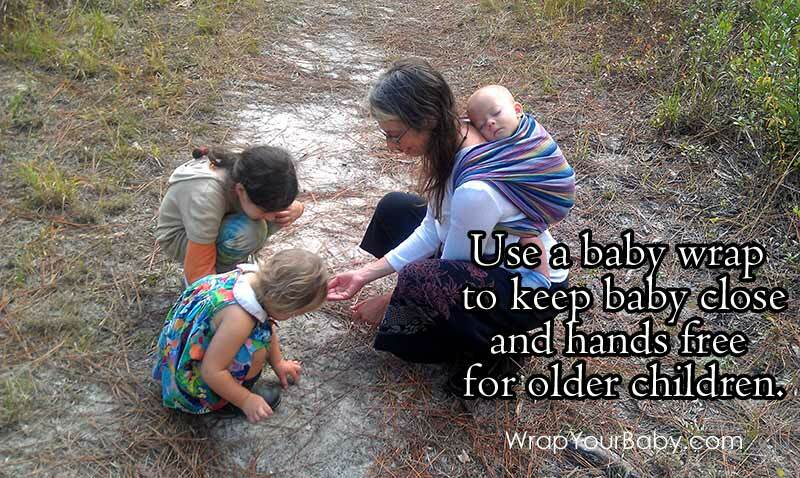 But it is also excellent pretend play (training) for taking care of your potential future grandbaby! because it comes with lots of accessories, clothes are removable, baby can go in the bath, and the features and details on the doll are really beautiful. Baby’s mouth is open so a bottle can go in it. This doll is a little small but should work fine for a toddler to imitate your baby-care! is another small, adorable baby doll. It is cheaper but does not come with all the accessories. However, the clothing are removable and you could find diapers/clothing to fit an 11 inch doll. The body is soft with hard vinyl arms, legs, and head. for her including diaperbag, diapers, wipes, and magnetic bottle. If your baby comes with a set of annoying rules – and your little one gets in trouble when they’re broken – that will create resentment towards the new baby. Many people find that a new baby can sleep well in a noisy household if they are accustomed to doing so from the beginning. Doesn’t that sound easier to achieve and less likely to get anyone in trouble? When you find yourself about to snap at big brother or big sister, take a breath and think how to reframe the correction lovingly. Aim for education and redirection or distraction. Be sure to notice and comment on what a good big sister or brother your child is. Say thank you for help your child gives you or baby (how much of a help it really was is not the point, fostering a caring relationship is). It will mean the world to your older child to have time alone with you. Build this time into your day from the start so you can stop sibling jealousy before it rears its ugly head. Remember, the best cure is prevention! So take 20 minutes to read a book or play with your toddler or older child. Don’t do dishes or tidy up the livingroom if you haven’t spent quality time with your toddler yet this morning or afternoon. I am generally very eco-conscious, but if it is the only way to spend time with your older sibling, I whole-heartedly endorse the use of paper plates and bowls so you don’t have to wash dishes! Spend time with big brother or big sister when baby naps. Spend time with big brother or big sister when baby is content in a swing. When you are nursing or feeding baby, make it routine to have your toddler bring you a book to read during the feeding and the three of you can cuddle up on the couch together. If you are a two parent household, trade off. BOTH of you should find a way to spend one-on-one time with your older child or children. If you work out of the home, find 20 minutes of one-on-one time in the evening before bed. If you’re home with your children all day, try to find 20 minutes in the morning, 20 minutes in the afternoon, and 20 minutes in the evening or at bedtime. If you can’t do that, start with what you can do. 5 minutes instead of 20. This isn’t about beating yourself up. Beating yourself up rarely improves life for your children. Take stock at the end of the day. Did you spend more time bonding than on chores? Take a win. Didn’t spend as much dedicated time together as you’d like to? Plan to do things a little differently tomorrow. 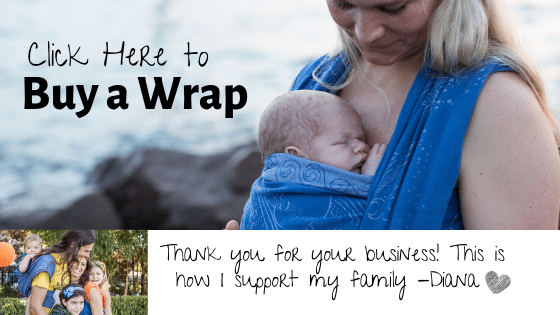 A baby wrap or carrier is a tool to make it easier for you to meet your baby’s needs, your own needs, and your family’s needs. 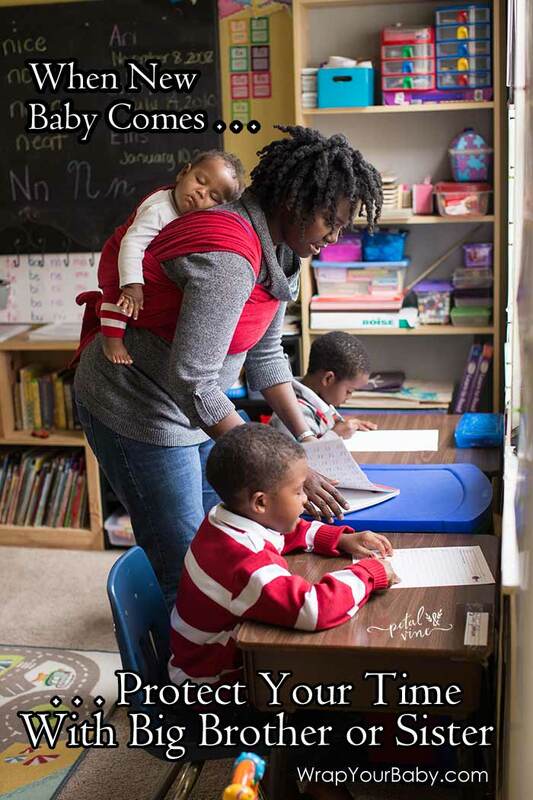 I would never want anyone to feel like they are “supposed to” use a baby carrier and are somehow deficient if they do not. It’s not the wrap that is important. It is the connection. And the convenience that allows you to retain your equilibrium as you parent. 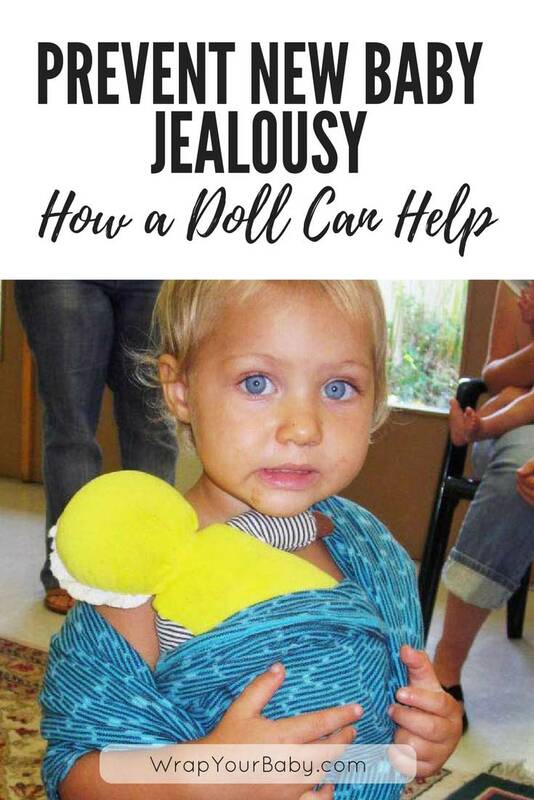 How does wrapping your baby help avoid newborn jealousy in your home? 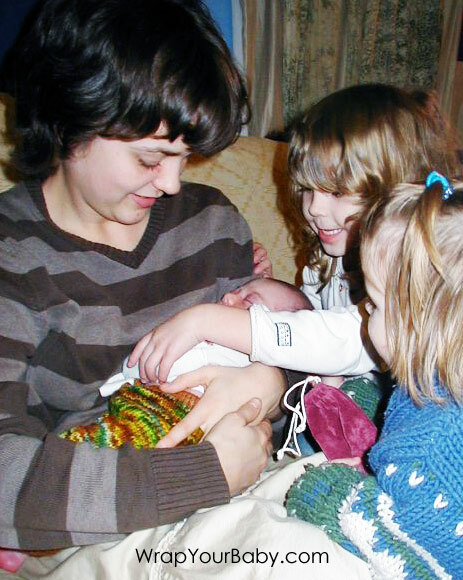 One of your newborn baby’s primary needs is just to be held. Wrapping allows you to hold your baby, which leads to a baby who is content for much longer periods of time. So tending to your baby’s needs is taken care of and at the same time you are free to play with matchbook cars or tie shoelaces. Keeping baby content also gives you the opportunity to grab food for you and your older child(ren) which means everything goes more smoothly. And if you’re going to have ANY time to tidy up, this gives you that chance, too. And maybe the biggest advantage to wrapping your baby is that the lack of crying and reduction of neediness will make your life as a parent more peaceful. You need that peace. Your children need you to be in touch with that peace, as well! Ready for the one bonus tip that makes EVERYTHING above go more smoothly? Take care of yourself, so you can be present for your children. Find ways to lighten your load or streamline your responsibilities so they are less overwhelming. When you get groceries, be sure to grab some of your favorites. Foods that are treats, that make you feel cared for (be wary of sugary foods that will cause a crash later). Fresh strawberries with cream? Raw cashews are one of my faves! 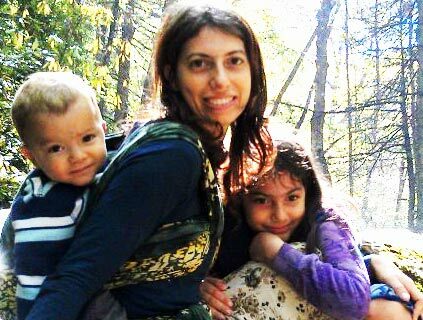 My last two children were just 15 months apart and I did nearly lose my ever loving mind. My dad gave me the best advice and I’m passing it on to you in the interest of helping you care for yourself emotionally and mentally. It’s okay if they cry sometimes. I have never been a proponent of not responding to a baby’s cries and that is not what I am suggesting here. What I am saying is that if one of them has to cry for two minutes while you take care of the other, it won’t damage them. Becoming frantic does not help you to get to them faster and decreases the quality of your attention for them. So know that sometimes they will have to wait a minute and resolve not to freak out when they do. And that’s it. 5 SIMPLE tips to avoid new baby jealousy. I hope you can use these tips to help keep the peace in your home. Comment below to let me know.